Another day. Another wing place in Grand Rapids. I swear, Wing Heaven has to have one of the worst franchise contracts around. This new place makes no bones about bailing after the contract was up but taking what they learned with them to start their own place. 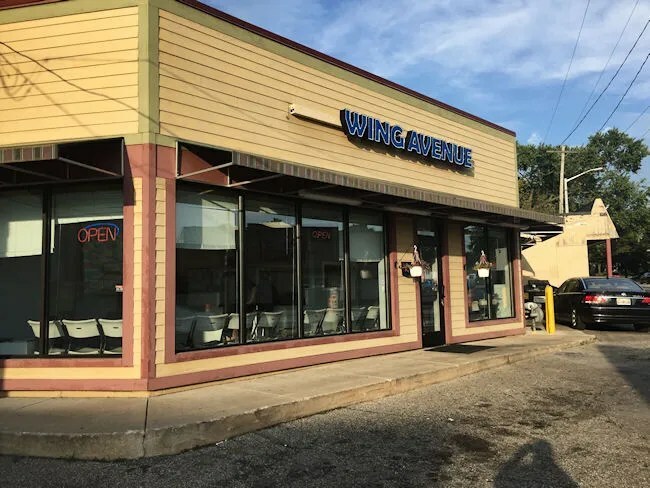 This former Wing Heaven is the new Wing Avenue on the corner of Burton and Eastern in Grand Rapids. I ate at the small corner shop when it was a Wing Heaven a little over a year ago and really liked it…as I do with most Wing Heaven’s. Not much has changed with the new shop as far as the layout of the building. There’s not really much that could change though. The building is kind of an awkward shape on a very busy street corner. It’s tucked into a space with just enough room for a small parking lot that can’t hold much more than three or four cars at a time. The menu is a little different. They moved to actual french fries instead of wedges and they’ve added deep fried tacos which really piqued my interest in the place. I mean, I was still going to get wings, but I’m sure I would try some tacos too. I walked in just before 7:00 on a Wednesday evening. There were a few people waiting for food, but the order counter was empty. The menu is displayed on LCD monitors hanging above the window to the kitchen. I usually order twelve wings and a pound of fries and always end up eating way too much. This time I decided to take it down to six traditional wings and a half pound of fries. I was certain I would still be hungry, but seriously, who needs that much food. Also, I added on one of the deep fried corn tacos just because I was really curious. The bill came out to something around $10 and it took about 10-15 minutes for my order to be cooked. At one point, the cook came out of the kitchen with the taco. They must be a new thing and it was really anxious to show it off. 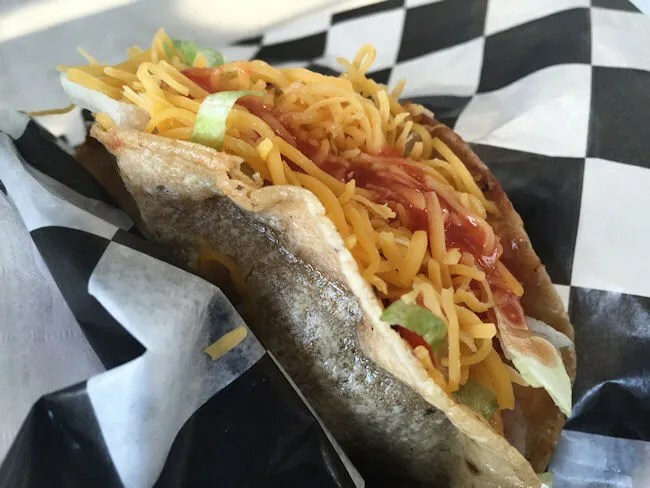 The “deep fried” part of the taco is actually just the shell, but it’s deep fried fresh from a corn (or flour) tortilla when you order it. It’s filled like a traditional taco with beef, lettuce, cheese, and tomato then topped off with a delicious hot sauce. The taco was actually very tasty. After eating just one, I wish I had ordered a couple more. The freshly deep fried tortilla was still warm when it was handed to me and while a little greasy, that actually added to the unique flavor. The hot sauce just sort of brought the whole thing together. There wasn’t a lot, but just enough for a little kick. Once my order was ready, it was handed to me in two Styrofoam containers. I headed to the car, although there are a few tables in the restaurant to eat it should you chose, and broke into the box of fries first. The fries were skin-on fries that were a little limp, but no so much that they tasted like raw potatoes. They were still pretty hot when I got into them, so they had just come out of the fryer. I opted to have mine topped with a mixture of salt and pepper. 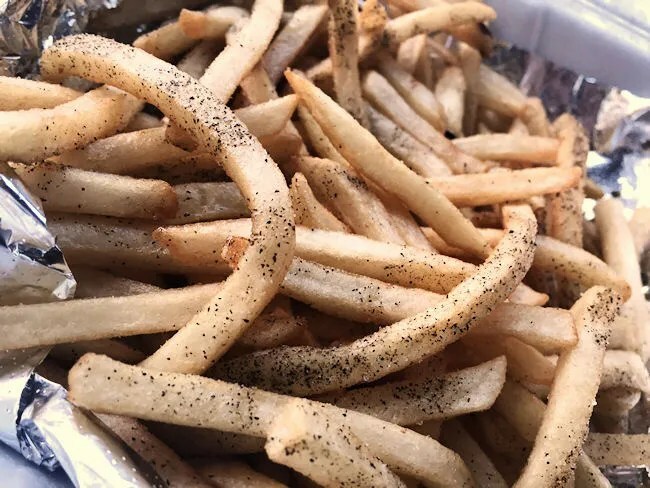 It’s the way I like simple fries. Just a little bit of seasoning and none of that red garbage. I didn’t get to the wings until I got back to the office. I said earlier that I’ve always liked Wing Heaven’s wings. 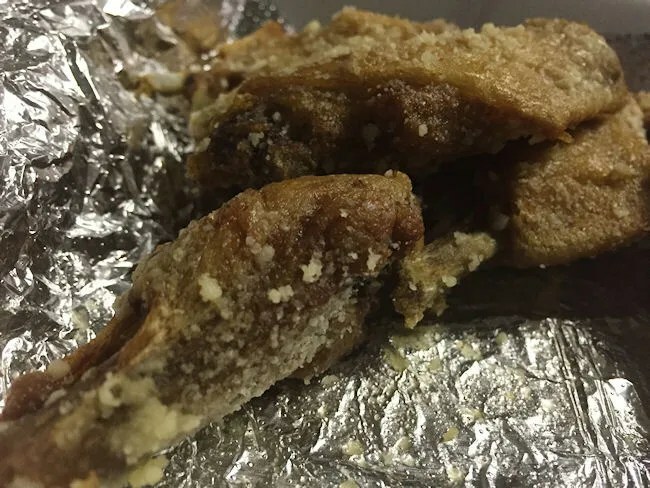 These were not Wing Heaven wings. The flavor was fine. They were cooked well and they have that delicious Garlic Parmesan that I can’t get enough of, but the wings were small. Very, very small. I’ve ripped on Buffalo Wild Wings before for having small wings (last time I was there a few weeks ago, they actually had pretty large wings though), but these would even be small by BWW standards. I’ve read some Yelp reviews since I ate there that say the same thing, so I don’t think this is a one time deal. It’s really a shame because flavor wise, these were right on point….I just would have needed to eat about two dozen to get to the same level of meat that I was expecting. 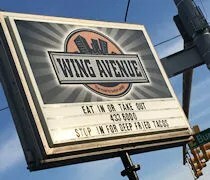 Wing Avenue was a hit and miss for me. The tacos? Fantastic. Right now, they are the reason I’d go back to Wing Avenue. The taco was super tasty and I love the freshly deep fried shell. The wings? Big miss. Way too small although I will say the flavor was right on point.